There were Morris Men at the Boot & Shoe Inn, Greystoke, yesterday. 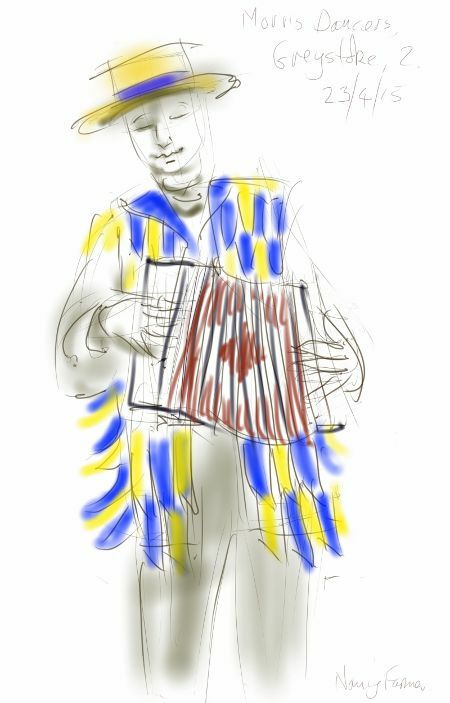 Actually these were the squeeze-box players, and one of them was a lady, indeed there were several lady Morris Dancers too, which they say is not allowed back home in Somerset! 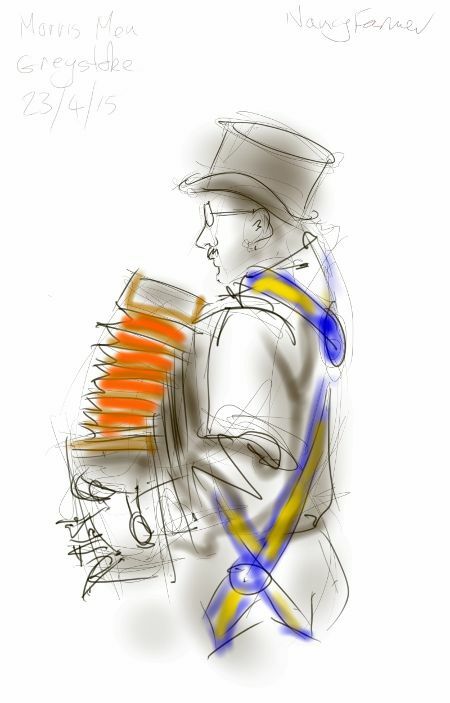 This entry was posted in Events, Places and tagged art, Boot & Shoe Inn, Cumbria, drawing, Greystoke, holiday, Morris Dancing, Morris Lady, Morris men, sketch on April 24, 2015 by Nancy Farmer.